The Best Deal on the Planet for The Weaver Curriculum! All in all, this is hands-down the BEST DEAL ANYWHERE for The Weaver Curriculum! 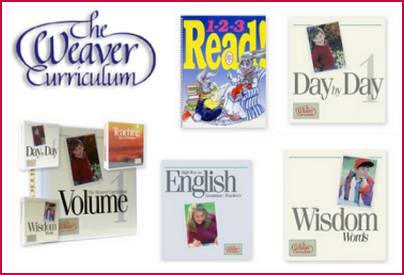 The Weaver Curriculum is a unique unit-based, Christian homeschool curriculum. This family-based curriculum uses the same daily Bible theme as a foundation and then creates lessons for each student. Your students are then studying the same main subject the same time with individual lesson assignment geared to each student's grade level. For example if you were teaching about the plagues of Egypt, your student would learn about frogs in science, Egyptian topography in geography, pharaohs in history, and so forth. Using this one-room schoolhouse type teaching, students are able to glean information from each other. Each volume represents one year of lessons in subjects like Bible, science, geology, geography, language arts, health, and art. 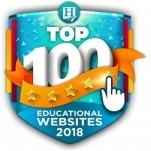 Should you purchase The Weaver Curriculum through the Co-op, we are pleased to not only offer the best price anywhere, but also Bonus SmartPoints that you can use to purchase other award-winning online curricula through the Co-op. What's more, your SmartPoints will stay in your balance for up to 2 years - ready for you to redeem on any number of Co-op products! Scroll down for more information about The Weaver Curriculum and this offer. When you are ready to buy The Weaver Curriculum, select the big, blue button below.